Roger Federer advanced to the semi-finals of the Internazionali BNL d’Italia on Friday in Rome with a 6-3, 6-3 win over Tomas Berdych. 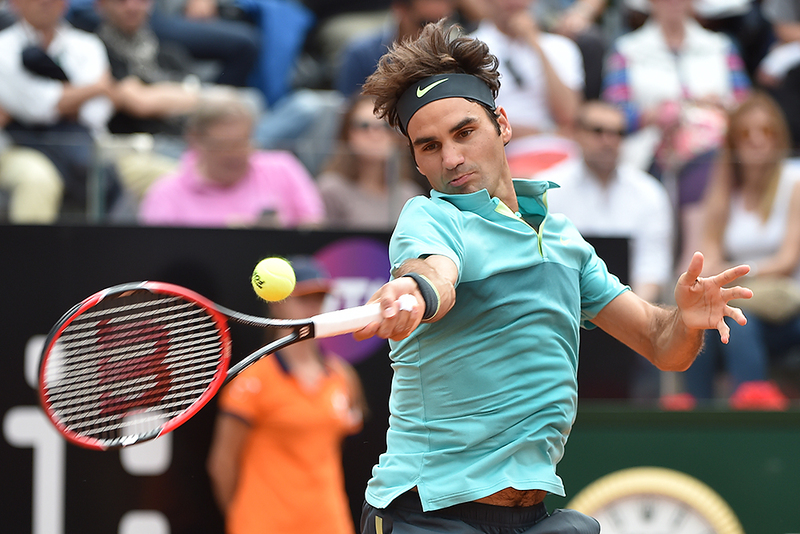 Federer will play either Rafael Nadal or Stan Wawrinka in a blockbuster semi-final on Saturday at the Foro Italico. The Swiss trailed by an early break in the first set, but reeled off four straight games from 2-3 down to seal the opener. Federer then broke through decisively in the seventh game of the second set and captured the final two games for victory in 67 minutes, hitting 15 winners to 11 unforced errors. "From the baseline I was playing very well," said Federer. "My serve was not quite there in the beginning. I had to go through too many second serves and he was able to take advantage of that and break early. For me, it was important to pick it up on the serve, which is maybe the easiest thing to do. "I felt good again on the return, moving well. As it went on, I think I got into the match better and better. The wind picked up in the second set. That's why I think Tomas didn't play so well anymore and I was able to get the job done. So I'm very pleased how the match went." A hard-fought win over Fabio Fognini seemed to take its toll on Berdych who grew more and more frustrated as the match progressed. Federer handled the windy conditions better and was almost untouchable on first serve, winning 86 percent of points. "Thomas can play much better than this," Federer added. "He struggled with the wind even though it picked up in the second set." It was Federer’s 14th win in 20 meetings with Berdych and his second victory over the Czech this season, having also prevailed when they met in the Indian Wells quarter-finals in March.